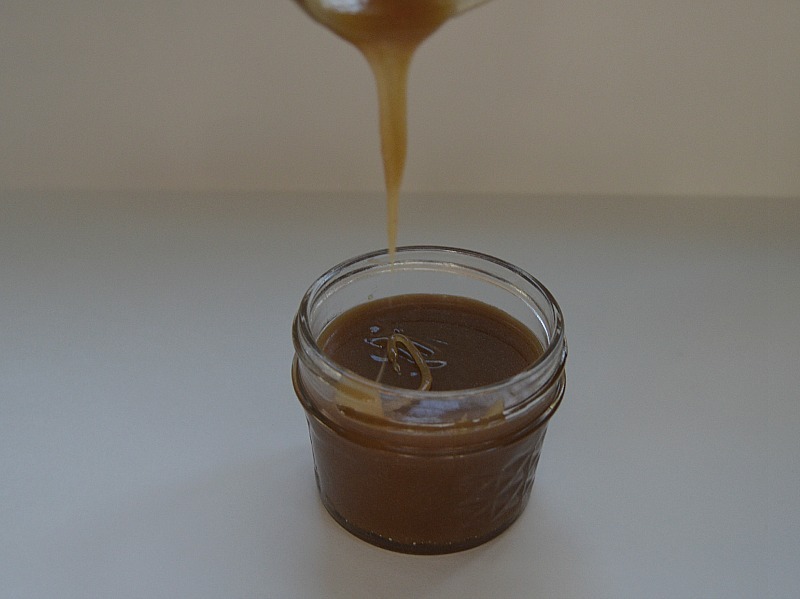 It is surprisingly easy to make your own homemade caramel sauce. This recipe is simple and easy, just takes a few minutes to cook. It’s great for dessert toppings or for coating caramel apples…..or as I prefer… straight off the spoon! 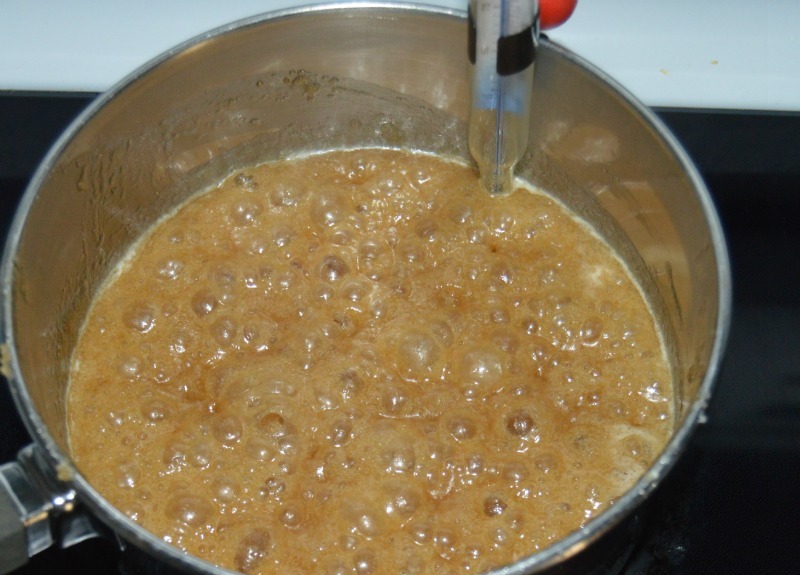 Place a candy thermometer to a medium saucepan. Stir together sugars, butter and cream. Cook on medium heat until it comes to a boil. Let simmer for a few minutes. I let it reach 325 degrees then take off heat. Remove from heat and add vanilla and salt. Let cool and enjoy! Keep refrigerated.. It may take between 15-20 minutes to bring sauce to temperature, different stove tops vary. Caramel sauce will thicken as it cools. You will need a candy thermometer that attaches to the side of your pan. Winco Deep Fry/Candy Thermometer with Hanging Ring, 2-Inch by 11-3/4-Inch One like this attaches well sits nicely and is easy to read. Warning: This can get messy! 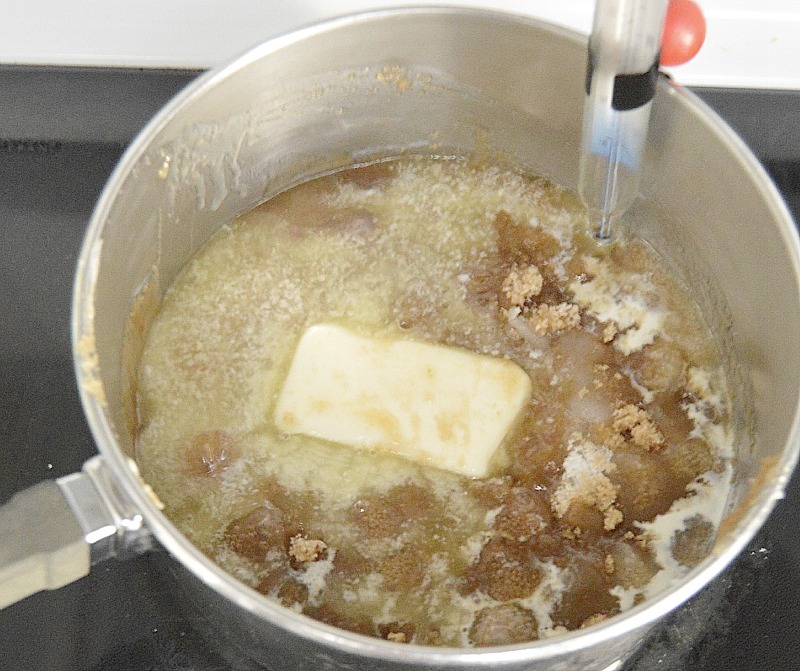 Make sure the candy thermometer tip is in the mixture but not touching the bottom of the pan. This is what it will look like once it is cooled. If you store in the refrigerator simply heat reheat in the microwave for next use.